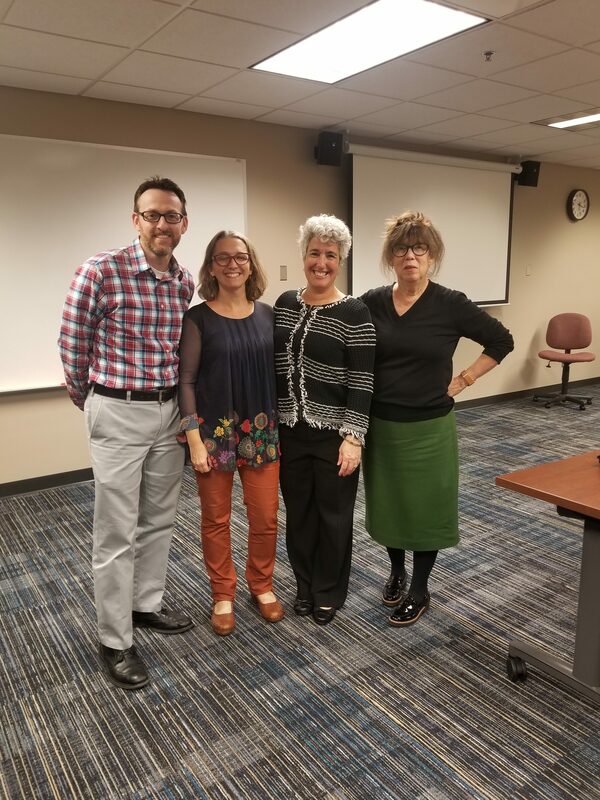 The Department of Languages, Literatures, and Cultures was pleased to host Illinois State alum Gigi Fansler ’89, M.S. ’91, Ph.D. ’00, as part of Homecoming 2018 activities. On Thursday afternoon, Dr. Fansler gave a presentation to students in which she discussed the experiences that led her to double major in Spanish and Psychology at Illinois State, then go on to pursue an MA in Spanish Literature and Linguistics, then, after deciding that her passion lies with higher education, she completed a Ph.D. in Higher Education Administration. 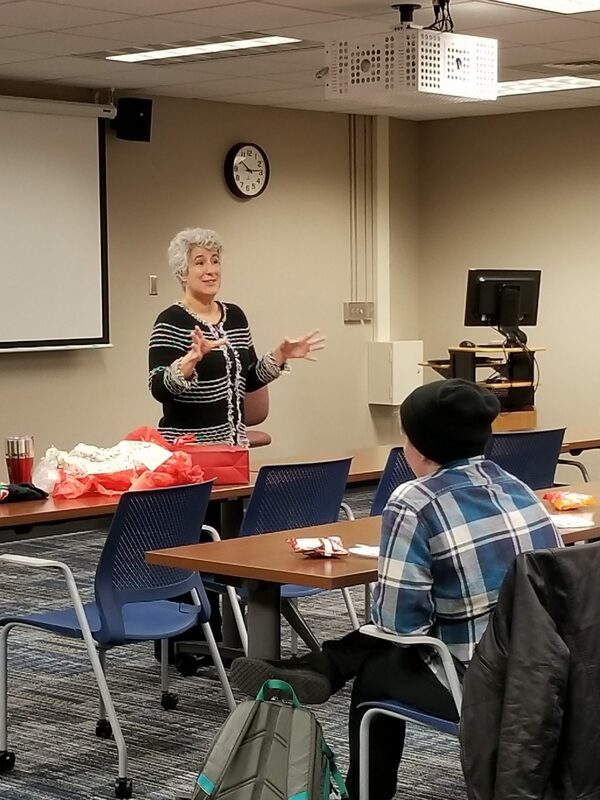 During her talk, Fansler opened up with students about the challenges of growing up as a first-generation immigrant, born in the United States to a Mexican mother and raised by her mother and maternal grandparents. She described arriving at Illinois State and joining Gamma Phi Circus not knowing at all what she wanted to major in. Fansler’s adviser suggested she take Spanish, since she already spoke some and had taken it in high school, a suggestion that resulted in her finding a department and major in which she really thrived. Fansler picked up a double major in Spanish and Psychology and talked about how both programs, in different ways, taught her to think critically and approach problems from all different angles, a valuable skill in the many administrative positions she has held. Fansler with (from left to right) Davis, Acting Chair Lynd, and Nance, all members of the Spanish section. Fansler currently serves as a vice president for accreditation relations at the Higher Learning Commission. Prior to this, she served as vice president for academic affairs at Lincoln College in Lincoln, Illinois. She also worked at Illinois State as director of diversity and affirmative action, academic advisor, and academic counselor. 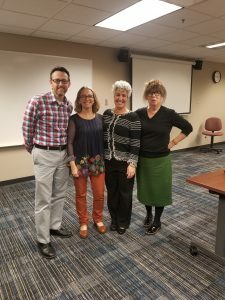 From 1993-2009, Fansler taught Spanish, research methods, and graduate-level seminar courses in education while also performing her administrative duties. Fansler will continue her Homecoming visit by attending “Meet the Dean” of the College of Arts and Sciences, the Alumni Day Luncheon, the Illinois State football game, as well as the Latino Alumni Network Homecoming reception.